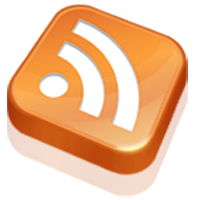 CERTPOINT Systems provider of LMS/LCMS CERTPOINTVLS and mobile knowledge app K-Tango announced today that it will sponsor a series of webinars by Brandon Hall Research beginning Tuesday, October 25th 2011 and extending through 2012. CERTPOINT Systems Inc. provides the CERTPOINTVLS™ and CERTPOINTVLS Mobile™ all-in-one global learning platforms, which are used by more than 1,000 organizations in over 80 countries and 40+ languages to manage performance, deliver knowledge and track business results. Global leaders such as L'Oréal, Toyota, Honda and Stanley Black & Decker use CERTPOINT's solutions to arm their employees and partners with the knowledge they need to win and retain customers. The SaaS-based CERTPOINTVLS platform is multilingual and integrates Authoring, Reporting, Mobile Delivery and Web 2.0 Collaboration tools into a single LMS and LCMS solution. It quickly drives productivity across the extended enterprise and deep into sales and service channels. CERTPOINTVLS is easy to use, rapid to deploy and cost effective. Founded in 1996, CERTPOINT Systems has consistently developed and evolved the CERTPOINTVLS platform to ensure that it provides clients with cutting-edge tools that incorporate the most recent developments in the rapidly changing online learning environment. Please visit the company at www.certpointsystems.com. Christine Kane has been in touch to remind us about this recently published below. SMS or text-speak has been continually increasing its bounds since Twitter appeared on the scene with its limit of 140 characters per tweet. Since tweets are never totally private, means to keep twitter language free of cuss words are being used to avoid offense or censorship. 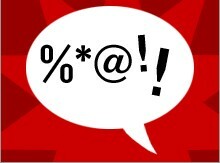 Here are ten ways that people manage to ‘cuss without cussing’ on Twitter. 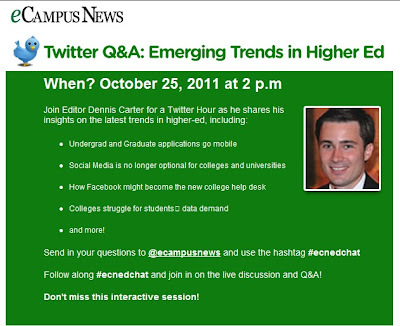 Follow along #ecnedchat and join in on the live discussion and Q&A! Don't miss this interactive session! The American Association for the Advancement of Science (AAAS) has created a website that provides access to their research on science mentoring. The goal of the site is to "provide guidelines and resources for developing high quality research and evaluation studies for science, technology, engineering and mathematics (STEM) career and workforce mentoring. " 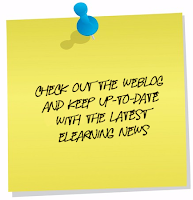 On the site's homepage, visitors can find links to research on these guidelines, resources for STEM mentoring, and announcements about upcoming awards and funding opportunities. New technology, far from tempting kids away from books, promises to add a new dimension to reading. 'Why don't you turn off that TV and read a book for a change?" Such was the traditional teatime war cry of 1970s Middle-Class Mum. Its antiphonal response: "Oh muuum ..." I belong to a generation that was conditioned to see television, and later computer games, as the enemies of childhood reading: rivals for time and attention that could be spent with a book. 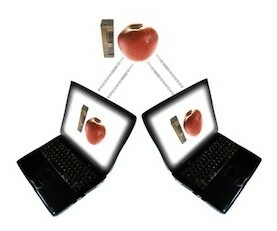 Now that computers are a means by which books are transmitted, that distinction is breaking down. We must now set aside the prejudices of our parents and the superstitions we have about books being magical objects imbued with learning. The internet is putting young readers in touch with each other, too. Some playground crazes are literary, and they can go global.The explosion of fan fiction – much of it by children and young teens – is a vitally encouraging instance of the way creative reading and creative writing can become the centre of an online community. JK Rowling's Pottermore site, which opens to the public this month, looks like is offering a model of how a children's author might engage with readers without compromising the texts. The availability of the Piano Apprentice learning keyboard for iPhone, iPad and iPod touch has been declared by Ion. 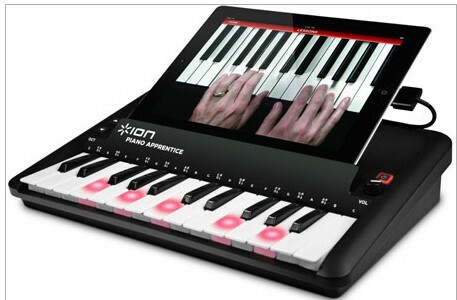 The compact and lightweight iDevice accessory serves as a personal piano instructor for busy music lovers on the go. The application which can be downloaded from the iTunes app store helps in the smooth functioning of this slim keyboard and creates a reportedly comprehensive music-learning experience. Through the app, users have to follow Emmy award-winning piano instructor, Scott ‘The Piano Guy’ Houston, who will show them hand positions while the keys on the keyboard light up in sync with the song. The keyboard’s design places Scott’s hands on the screen directly above users’ hands to offer a direct and intuitive learning experience. “Piano Apprentice is truly a first-of-its-kind music learning tool for iPad, iPhone or iPod. Learning to read and play music has never been easier, more portable or accessible for people of all learning levels than it is with Piano Apprentice,” explained Wendy Mittelstadt, Product Manager Ion. Operating through CoreMIDI, this iPhone peripheral is also capable of working as a controller for other applications including GarageBand. 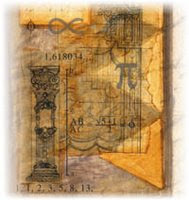 It will first teach the techniques of playing to users and then enable them to create music with their favorite applications. The touch-sensitive keyboard provides a collection of volumes and expressive music creations. This battery powered device comes with in-built speakers as well. Students within Perry Public Schools are experiencing some of the newest educational tools available thanks to a portion of the school improvement bond passed by the community in February. On Tuesday, students in Margaret Sible’s first grade class were hard at work using iPads to play apps that teach them skills like phonics, counting money and identifying letters. The teacher said the tablets help keep the students engaged for longer. She said the iPads are great because they provide instant feedback to the students about whether they are completing the questions right or wrong — something teachers cannot offer because they have to spread their attention out amongst all the students. “What better way to keep them engaged than to give them direct feedback,” Sible said. Distance learning is the key to having a better future if you are not able to attend school traditionally. In any period of economic difficulty, finding the best job, and hanging on to it, can be exceptionally hard. The relative scarcity of jobs means employers have an enormous selection of applicants to choose from, which thereby cuts the chances of any successful applications being made. However, distance learning degrees from Anglia Ruskin University represent an excellent way to study for a universally recognised qualification without having to commit to a full-time course. Any student who signs up to such a course is making a bold statement about themselves, and it’s one which could bring dividends throughout the student’s career. Via their exceptionally helpful website, Anglia Ruskin offer a wealth of information about distance learning schemes to both employers and employees. Main campuses at Cambridge and Chelmsford attract students not only from the East of England and across the UK, but in increasing numbers from mainland Europe and from further afield. An increasing number of students are enjoying the benefits of distance learning and the University has an extensive network of contacts with institutions throughout the world, delivering courses in countries as far removed as Malaysia and Trinidad. 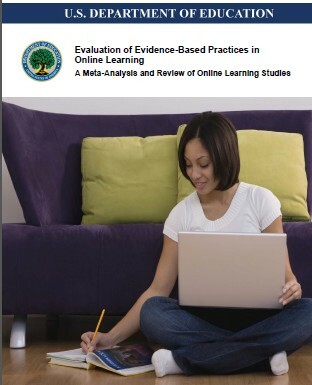 Students perform better in online courses, a new study has shown. Despite the constant distractions of social networking sites like Twitter and Facebook, as well as emails, online news and e-shopping, the online method of learning seems to be something that keeps a student's attention. Researchers have found that pupils using e-learning platforms are maintaining their grades or even exceeding their predictions through the flexible, easy access learning. SRI International, a private research and development company working for the US Department of Education, said in the study: "On average, students in online learning conditions perform better than those receiving face-to-face instruction." The study was done over 12 years between 1996 and 2008 and focused primarily on colleges and adults who continued education after compulsory schooling. It found 99 studies in which there were quantitative comparisons of online and classroom performance for the same courses. Lee Rainie, Director of the Pew Research Center’s Internet & American Life Project, spoke about “As learning goes mobile” at the Educause 2011 annual conference. He described the Project’s latest findings about how people (especially young adults) use mobile devices, including smartphones and tablet computers. He discussed how the mobile revolution has combined with the social networking revolution to produce new kinds of learning and knowledge-sharing environments and described the challenges and opportunities this presents to colleges and teachers. Technology has enabled students to become different kinds of learners and Lee will explore what that means. Laura Backes has been in touch to remind us about this published article below. Tutors come in all shapes and sizes: short, tall, round and virtual. That’s right, fast becoming a “most popular” choice for alternative academic instruction is the online tutor. Online tutoring services are springing up like mushrooms, because they fit today’s scholarly needs so well. Youngsters raised on video games and social networking are often right-at-home in an academic environment that has limited interpersonal contact. Tests are so important today, for students and business professionals alike, that every possible advantage is sought to gain even a tiny advantage over an increasingly competitive field. Online services work for a variety of reasons, and it is likely that they will continue to expand offerings and programs. With so many new choices, it is imperative that prospective students or parents of students carefully check out a company before committing to anything. World Statistics Day is a day to strengthen awareness about the importance of the work done by statisticians. It takes place on October 20 every year, as proclaimed by the United Nations General Assembly. The first time it was celebrated was in 2010. Dennis Pierce, Editor writes on eSchool News, "Today's top story highlights a new partnership among the American Association of School Administrators, the Consortium for School Networking, and Gartner Inc. to help schools use student data to improve achievement. Among other things, the project will help school leaders understand the capabilities of various students information systems and learning management systems on the market, so they can make more informed buying decisions." The American Association of School Administrators (AASA), Consortium for School Networking (CoSN), and Gartner Inc., a global information technology research and advisory company, are collaborating to support schools as they move forward in implementing these new systems and practices. In the current era of maximizing accountability, school leaders increasingly are asked to make classroom-level student data available in forms that are usable in improving instructional practices. These demands require that schools and districts purchase and become proficient in using increasingly sophisticated software systems. Two of these tools—student information systems (SIS) and learning management systems (LMS)—have the capacity to store and analyze large amounts of student data, but educators seeking to buy and install these systems are confronted with a bewildering array of products, features, and technical specifications. At the same time, software vendors do not always have sufficient understanding of how school systems work and how such software should best be deployed. Emma Taylor has been in touch to remind us about this published article below. First things first, understand that this article does not call for standardized tests' total obliteration. Clinging to a hardlined, black-and-white perspective in an obvious shade of grey accomplishes nothing. Such exams boast some advantages, like offering a quick glimpse assessing academic strengths and weaknesses. At the professional level, they ensure takers possess the skills necessary for integral, delicate social services, such as law, medicine and construction. So the concept of standardized testing shouldn't be completely dismissed as inherently biased and divisive. It's merely a tool, which can be wielded in positive and constructive or negative and destructive manners based on the users' abilities, resources and intents. But if policymakers, institutions and educators want to keep using standardized tests in the alleged service of elementary, middle school, secondary and tertiary students, considerable reform needs implementing, immediately. The standardized testing system's current incarnation raises far more eyebrows and ire than bright-eyed, bushy-tailed pillars of future progress. Research reveals some of the damages done thus far, so citizens — children, parents, educators, administrators, and what few politicians actually care — must read, comprehend, discuss and eventually demand and tailor important changes around. Either de-emphasize their importance and analyze student and teacher success through a wider, far more accommodating lens, or allow them to remain the cornerstone after jettisoning the biases and restrictions wreaking more harm than good. As everything stands now, though, most exams just aren't making the grade.